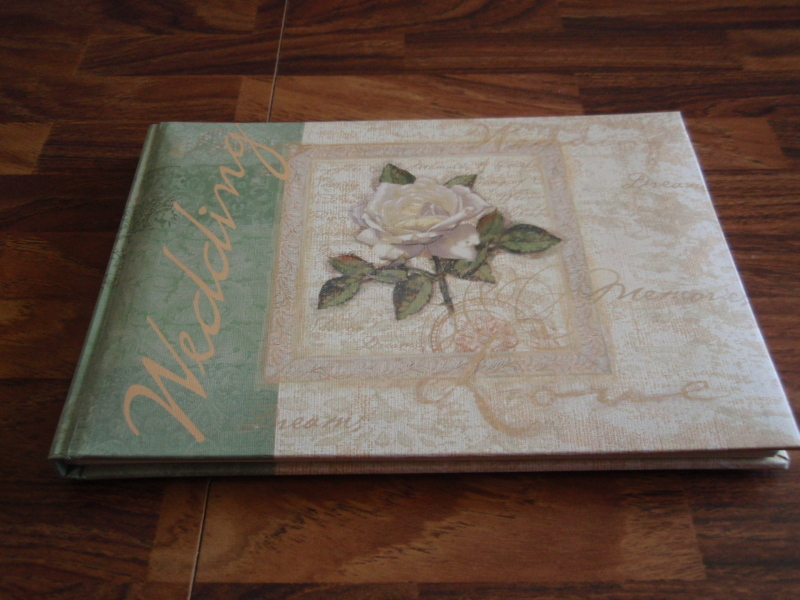 I bought this guest book at Half Price Books in Concord for about $5 and thought it was pretty ugly and plain, but was certain that it had potential! 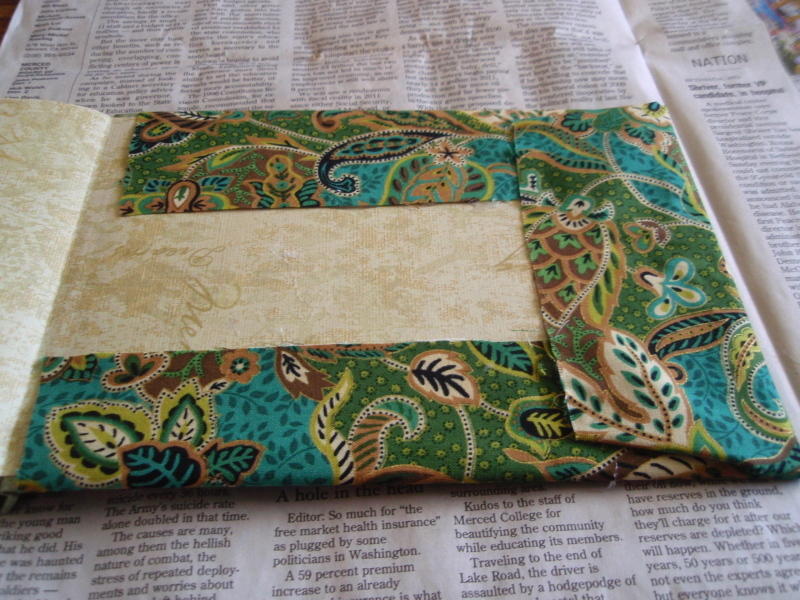 The inside wasn’t bad, but the outside is just blah and boring. 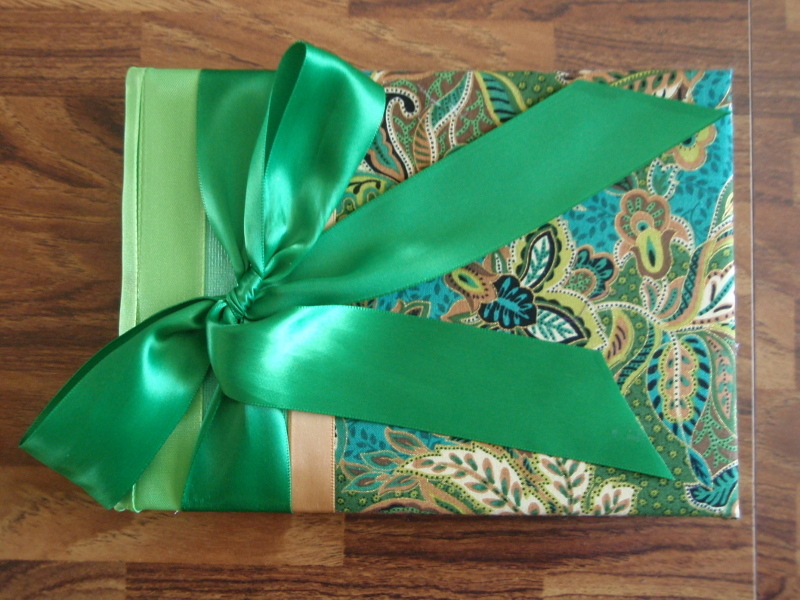 I’ve seen some really beautiful recovered guestbooks on etsy, but they are pricey. 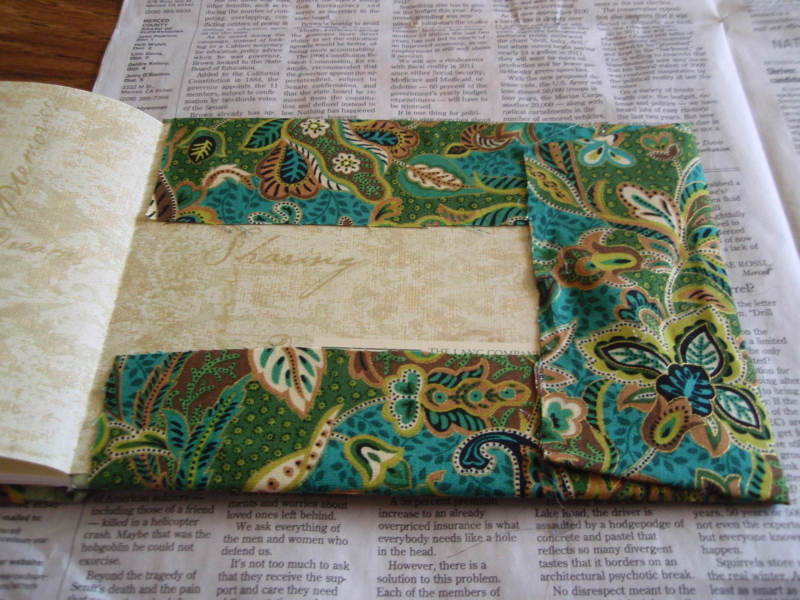 Altogether, my recovering project was probably less than $10, and that is including the guest book itself. 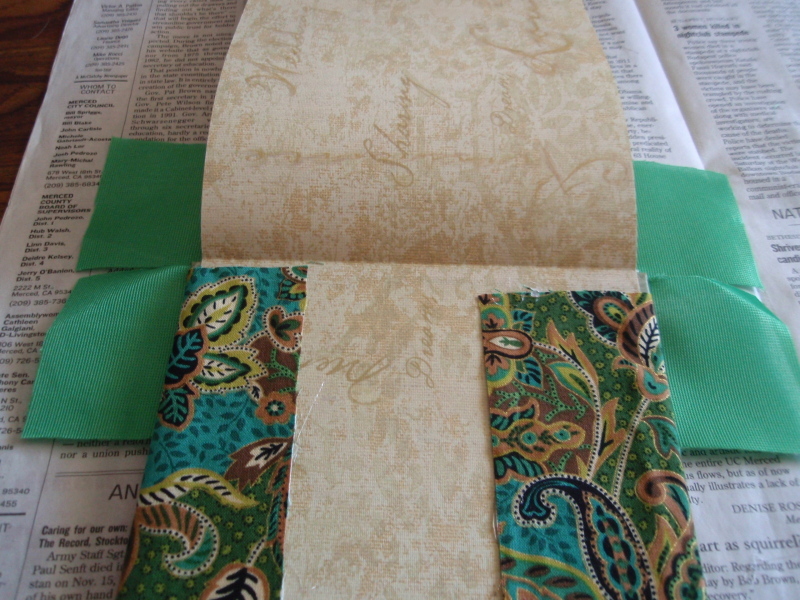 I used the same cotton paisley fabric and green satin that I used for my cardbox, along with coordinating ribbon. 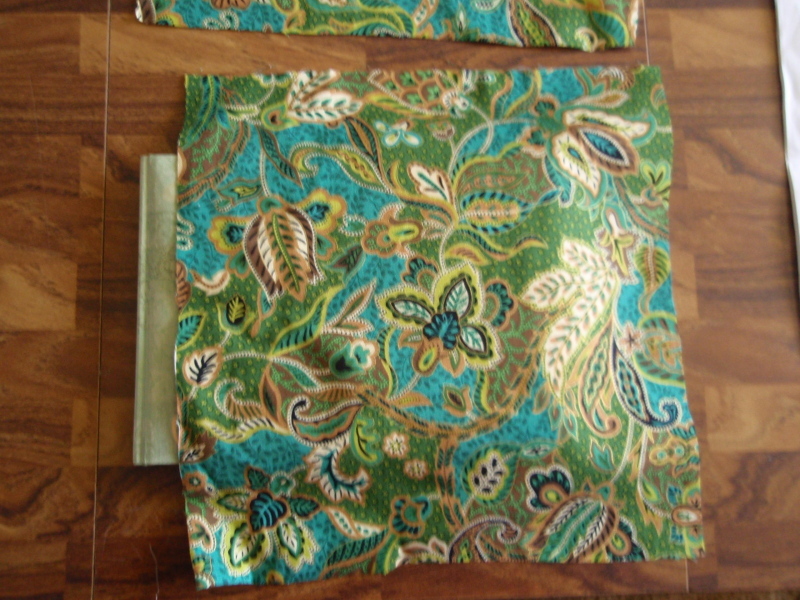 First, I cut pieces of my paisley print fabric for the cover. 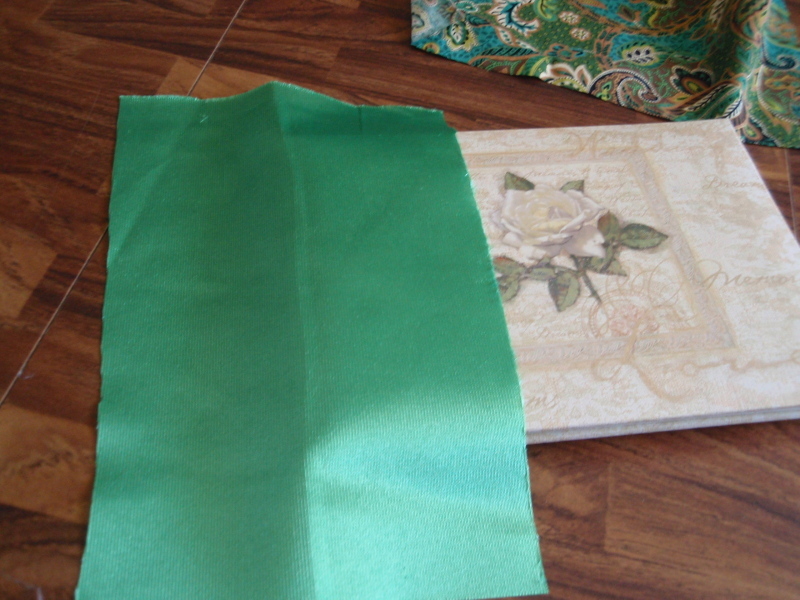 Then I cut the satin fabric for the edge and the spine. 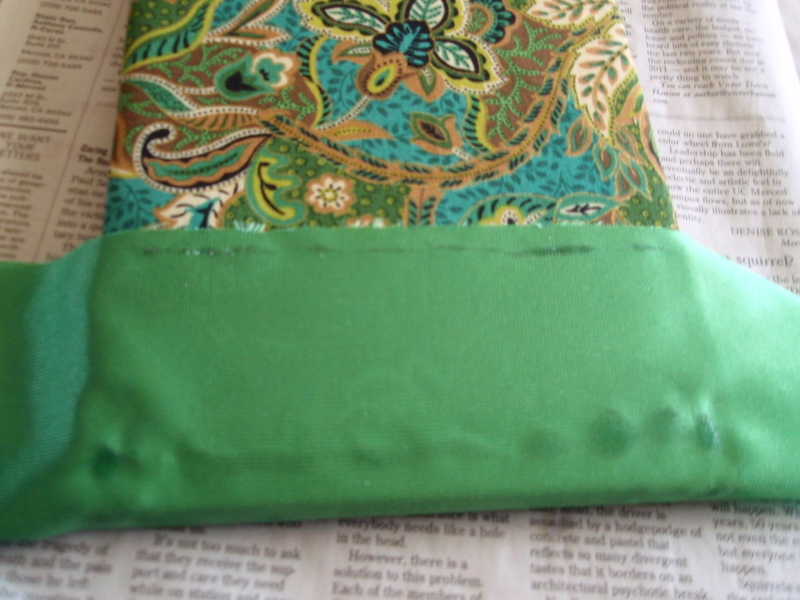 Then I wrapped the fabric, gluing it to the inside of the cover. 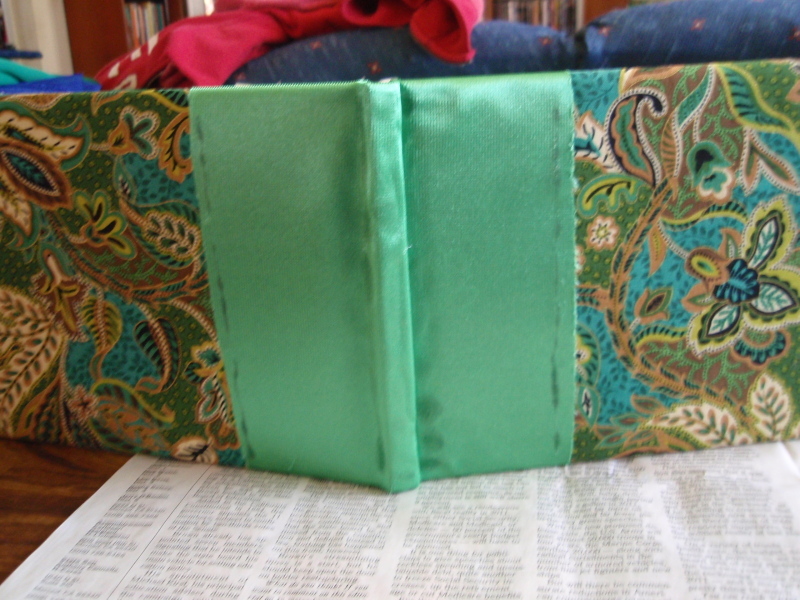 I glued my contrasting ribbon to hide where the two fabrics meet and then glued some thicker ribbon on the spine (mostly to cover my glue marks). 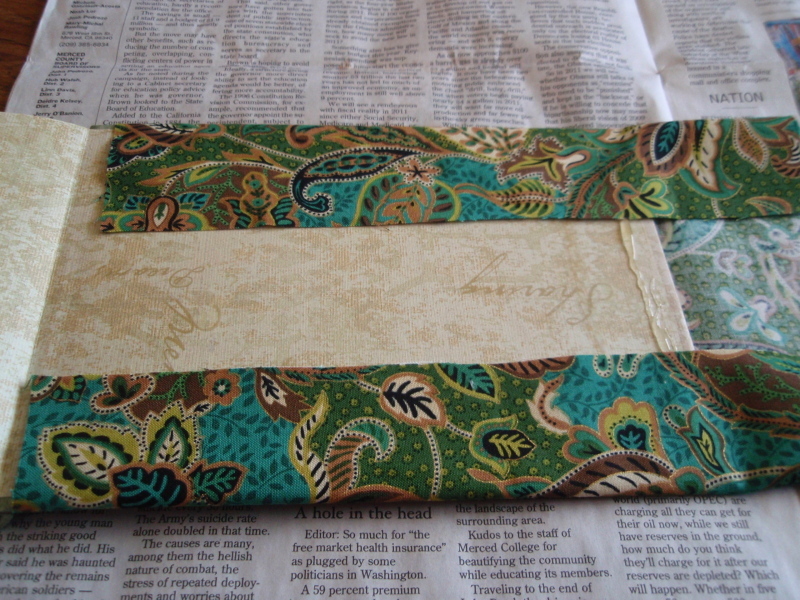 The satin shows the glue, so it was necessary to cover it, but it also turned out giving the guest book a nice spine reminiscent of an old book. 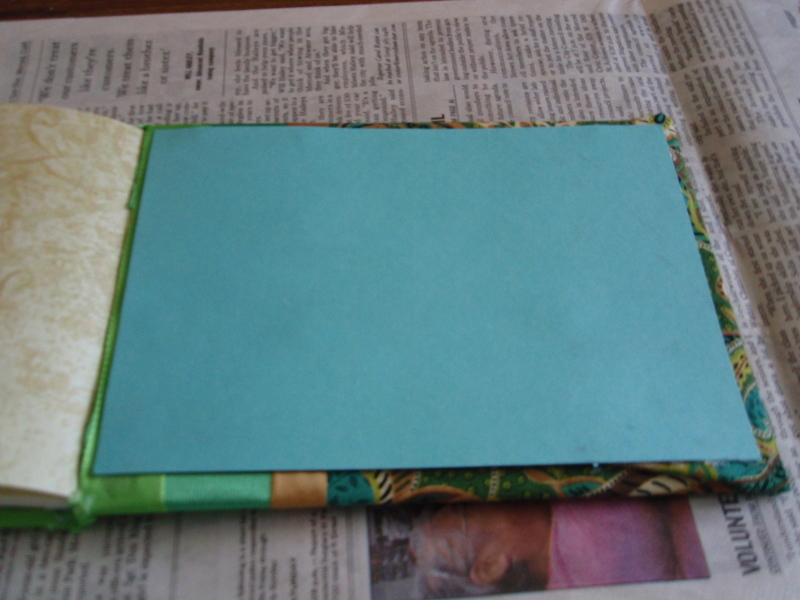 Then I cut a piece of cardstock in half on my paper cutter, trimming the edges to fit the inside cover. 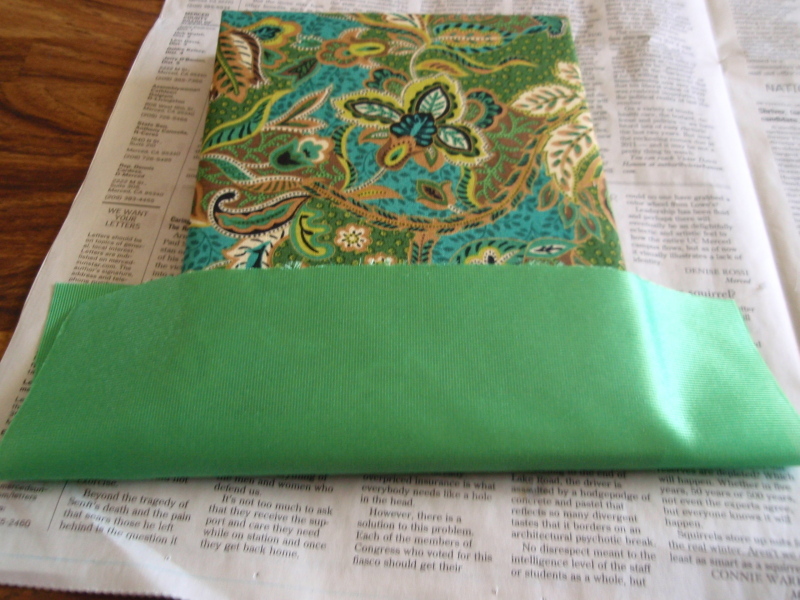 The cardstock covers the interior fabric and polishes off the book. 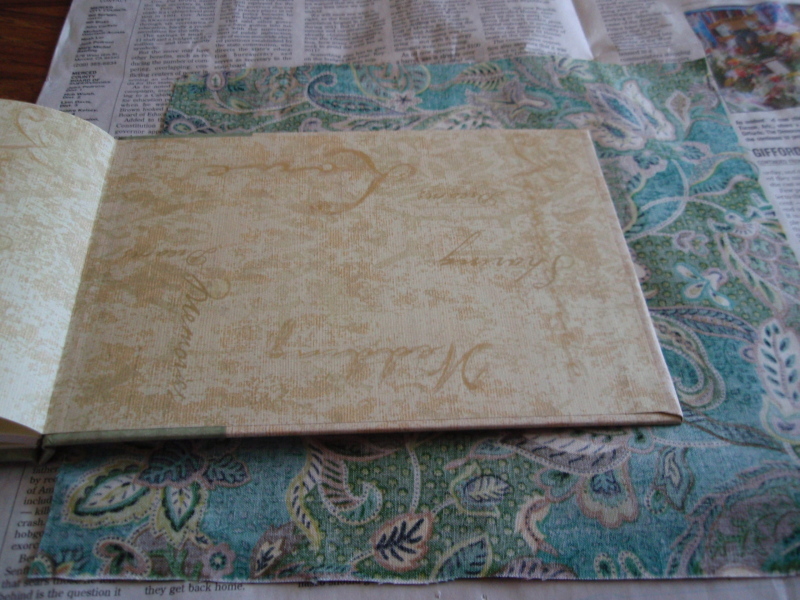 Then I cut a piece of wide, matching ribbon and tied it around my guest book, finishing the look. 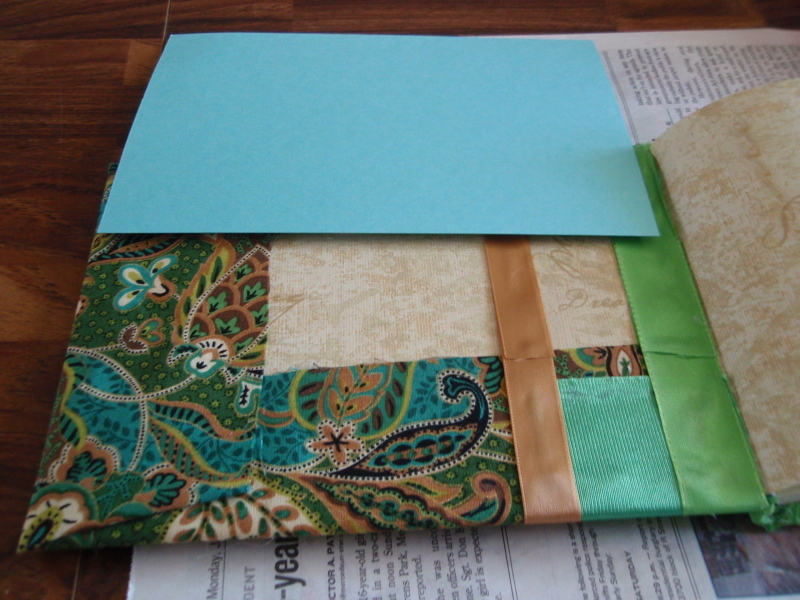 I will be printing out a card in a nice font, and gluing it to the inside cover. Hi ! 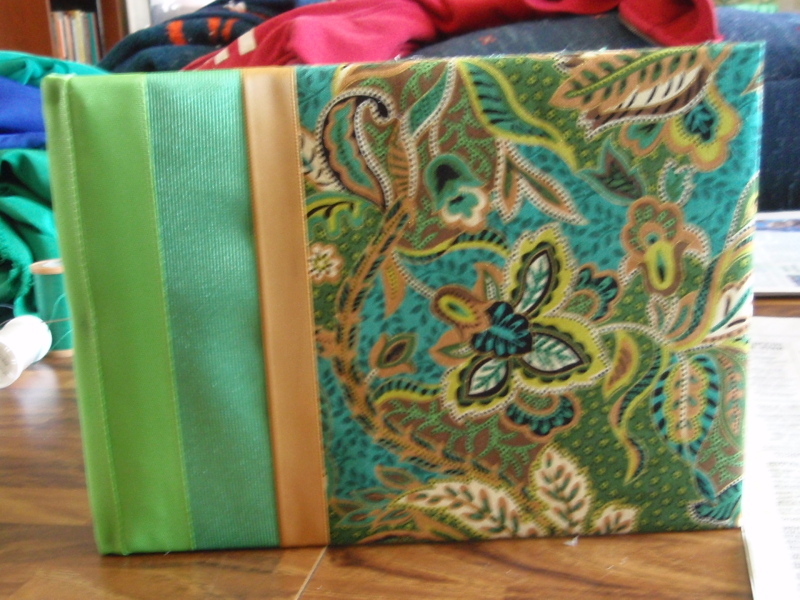 Congatulations for your future wedding and the choice of such a nice theme ! 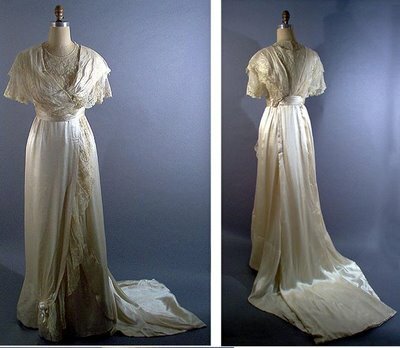 I’m the writter of a french wedding blog dedicated to brides who want to organise a vintage/ retro wedding. 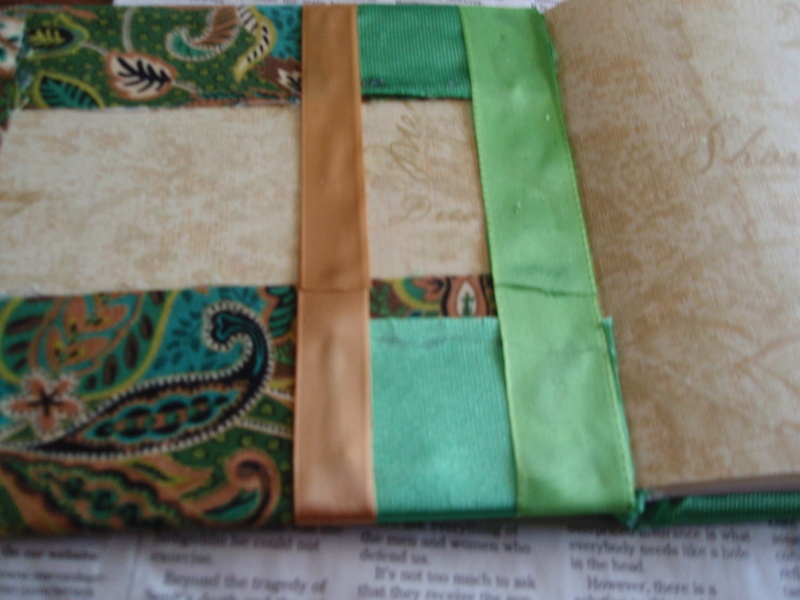 I would like to write articles to present some of your wonderful DIY tutorials (this guestbook and your mantilla). Would you be ok ? 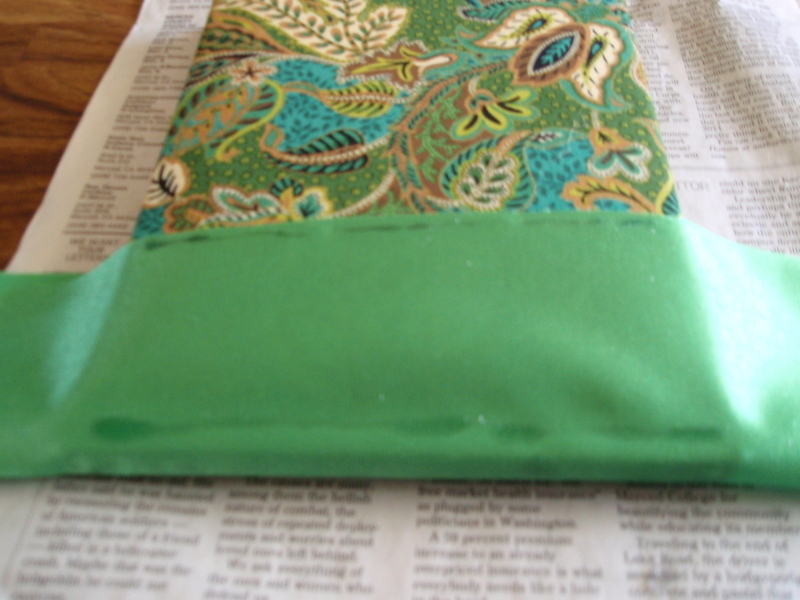 I’ll of course link your blog as the source in each article, as I always do. 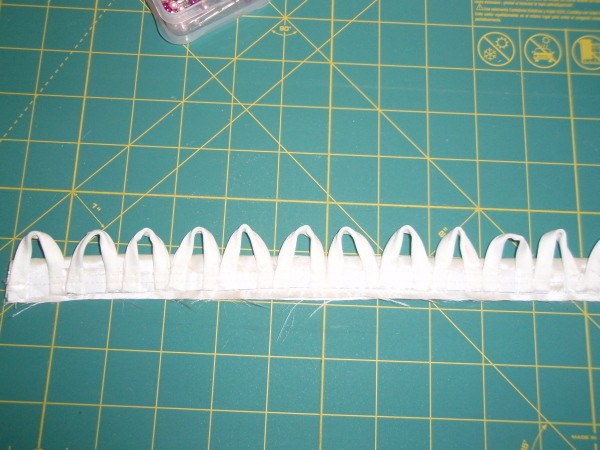 Please let me know if you agree !